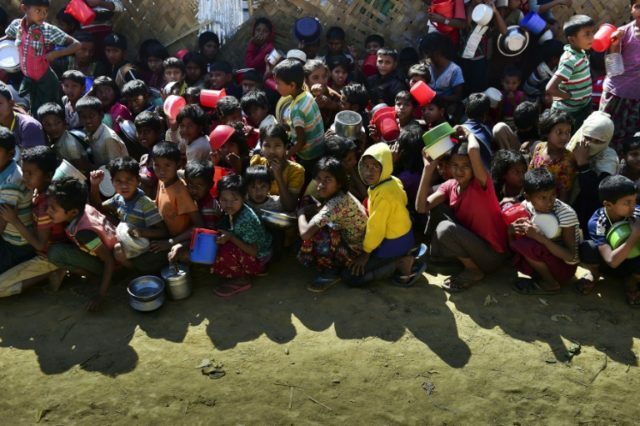 Balukhali (Bangladesh) (AFP) – Attackers on Monday killed a Rohingya representative in a Bangladesh refugee camp, the second such death in three days as tensions mount over the planned repatriation of some 750,000 refugees to Myanmar. Sources said the dead man Yusuf Ali was a camp leader at the Balukhali camp on the border with Myanmar. Mohammad Yusuf, a leader in the neighbouring Thaingkhali camp, was shot dead last Friday. Yusuf Ali, 60, was stabbed to death, district police chief Iqbal Hossain told AFP. Another police official described him as a Rohingya “majhi” or camp leader. The Dhaka Tribune described the earlier victim, Mohammad Yusuf, as a pro-repatriation leader. His wife Jamila Khatun, 35, said some 20 armed and masked men stormed their home and and shot her husband in the head. “He shouted ‘Oh Allah!’ and they shot him again in the mouth. He fell down,” she told AFP. “They spoke Rohingya. They were saying to my husband: ‘Why did you put our name on the list?’ They were furious,” she added. She did not say which list the attackers were referring to. Bangladesh authorities have been trying to draw up a list of Rohingya, among nearly one million in camps on the border, who could be sent back to Myanmar. Bangladesh has been besieged with an influx of more than 680,000 Rohingya since Myanmar’s military launched the latest crackdown on the Muslim minority last August. Following an agreement with Myanmar, Bangladesh authorities had wanted to start the repatriations on Tuesday but have delayed the operation — saying they need more time to prepare. Local media and a Rohingya leader have linked the killings to fears of being sent back. Police have rejected any such connection. Hundreds of Rohingya have taken part in protests against repatriation in recent days. Local authorities in Cox’s Bazar on Monday prevented hundreds of them from holding a rally at one large camp.